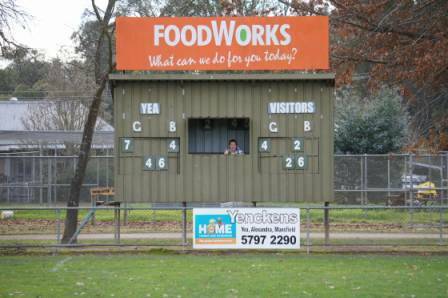 The Yea ground, just north of Melbourne, is one of the classic country footy grounds, noted Jeff Lawton. 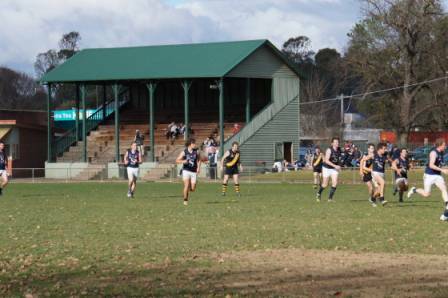 It boasts the recently-renovated 1891 grandstand, a good playing surface, and a carpet of leaves from the oak trees that ring the oval. The scoreboard is a fairly utilitarian structure. On 21 July Yea seemed to be in a good position to end a 29-game losing streak by defeating second-placed Seville. Unfortunately, Seville came back late to win by two points. At least the young scoreboard attendant was enjoying himself. 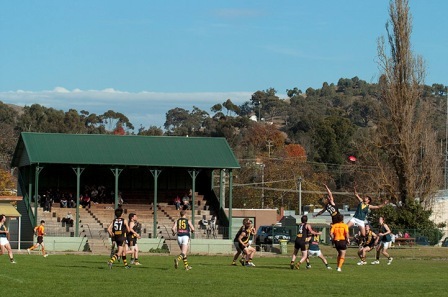 The football and netball clubs play in the Yarra Valley Mountain District League, with the footy club dating back to the 1893. 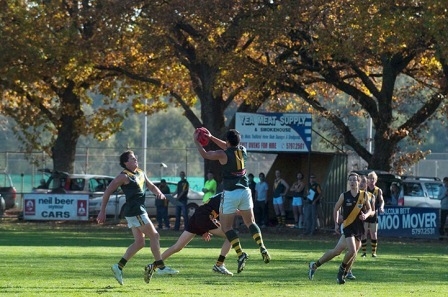 The Tigers ares having a lean stretch at the moment but have 15 senior flags to their credit, the last in 2005. It has also produced 40 VFL/AFL footballers. Shane Goss is sports photo-journalist with a keen interest in racing, local football and cycling. Jeff Lawton is a regular contributor to Scoreboard Pressure. See also the Albert Ground, Darwin, the Gabba, Geelong West, Manuka, Northcote, North Melbourne, Oakleigh, Powelltown, Toorak Park and Windy Hill.